WildSprings Gold Spammers is out of control now! wildsprings (EU) is now at that point now where faction chat is completely over-runned by gold spammers. and the safe heaven now is (Depending on where you are exactly) high level regions. but still faction chat is the primary source for information and questions. yet people cant ask anything because its 10-15 spammers posting at ever second. NCSoft knew fine well that there is a gold spamming and bot problem yet they decide to limit our block lists to 50 people ? so let me get this straight... you limit a block list to 50 people in a MMO, that allows us to meet more than 150 players within an hours time ??? exactly... makes no sense! 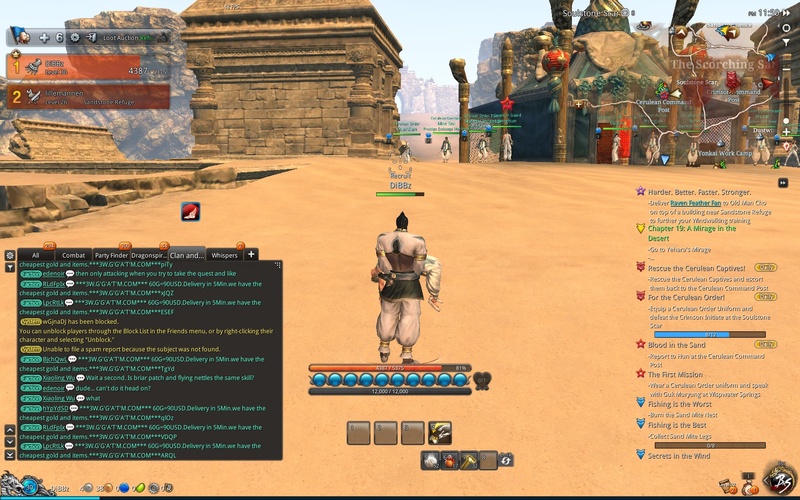 this crap needs fixed otherwise its going to be a contributing factor for people to leave the game.. just like archeage (all tho that game had many other factors that drove players away) but gold spamming chat constantly was one of them. granted at least archeage had an unlimited amount of ignores!